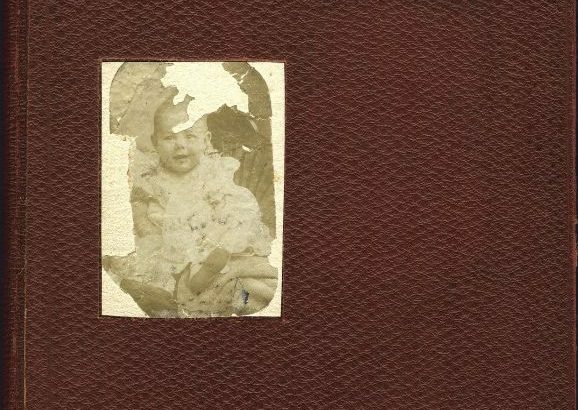 Grace Hall Hemingway created and annotated five scrapbooks to document her son Ernest’s first eighteen years of life, long before he became a Nobel Prize-winning author. 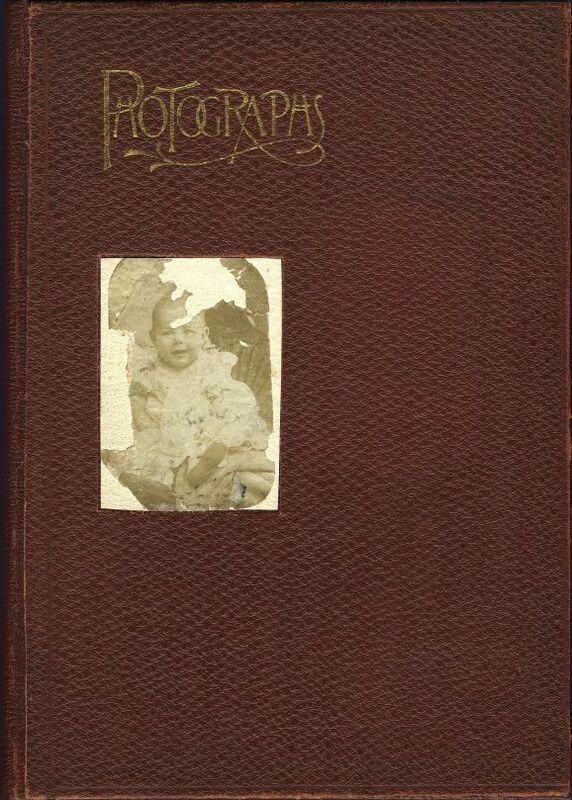 These unique scrapbooks include countless photographs of the Hemingway family and their friends both on vacation at their cottage in Michigan and at their home in Oak Park, Illinois. There are also many of young Hemingway’s letters, childhood drawings, homework assignments, and brochures from plays and events he attended. These scrapbooks are a valuable resource not only for Hemingway scholars, but for those interested in early 20th century life as well. The first two scrapbooks were digitized in 2007 and the scrapbooks in digital form have been available for research in the John F. Kennedy Library for the last few years. During her 2012 summer internship in the Audiovisual Reference Department at the JFK Library, Tiffany Link digitized scrapbook volumes 3, 4, and 5. There is a sixth scrapbook made by Grace Hall for Ernest’s grandparents (Grandparents’ Scrapbook) that has yet to be digitized. The fragile condition of these scrapbooks has limited access to them by researchers in the past. Fortunately, Tiffany’s work last summer allows researchers to now view the scrapbooks in digital form on our website. The digitized versions allow researchers access to the information contained in the scrapbooks without causing harm to the delicate artifacts that might occur by handling them. PDFs of all five scrapbooks are now available for download on our website. High resolution images are also available at the library for viewing. To make an appointment to view the digital scrapbooks or other photographs in the Ernest Hemingway Photograph Collection, please email JFK.AVarchives@nara.gov or call the reference line at 617-514-1622. 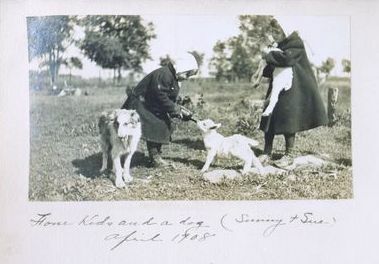 In the future, the scrapbook images will be available through the library’s Digital Asset Management System (DAMS) with complete metadata. Though the actual digitization process took nine weeks last summer, the effort was years in the making. Several years ago, audiovisual archivist James Hill and a former Hemingway Department intern, Alyssa Pacy, photographed the scrapbooks, creating 4×5 negatives for each page and each page of any inserts. The digital images were created from the 4×5 negatives. The first two weeks of the current digitization effort were spent organizing the 440 negatives and assigning each image a digital identifier. The next five weeks involved scanning each of the negatives. The last two weeks were spent identifying individuals in the newly scanned photographs and letters. We Need Your Help Solving Mysteries! While most photographs included caption information, some were blank or identified people with the infamous Hemingway family nicknames. We are hoping there is someone out there who can help us complete the collection by identifying some of the unknown individuals! 1. Who is Sue? She is pictured alongside Sunny (Hemingway’s sister Madeleine) in the following photos in Scrapbooks 3 and 4. Is she his sister Ursula or somebody else? 2. 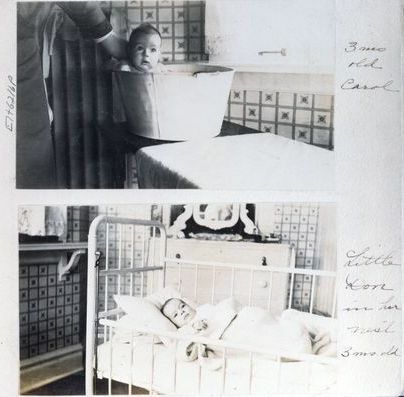 The baby pictured in the image below looks similar to Hemingway’s sister Carol in the top image, but the caption identifies her as Don. Are they the same baby or different? Who is Don? Tiffany Link is a student at the Graduate School of Library and Information Science at the University of Illinois at Urbana-Champaign. She worked as an intern in the audiovisual reference unit during the summer of 2012. Jessica Green is a student at the Graduate School of Library and Information Science at Simmons College. From February 2012 to June 2013 she was an intern working with the Ernest Hemingway Collection.